Three Melbourne Councils have come together to bypass the restrictive state and federal renewable policies and kickstart a dialogue with clean energy providers. The plan is to identify renewable projects that have been halted by uncertainty and reinstall confidence in their development. The original article was published in The Guardian. The article can be found here. A group of Melbourne councils are banding together to bypass the renewable policies of the state and federal governments and directly appeal to clean-energy providers. In what could evolve into a national initiative to directly boost renewable energy uptake, the City of Melbourne, City of Maribyrnong and City Of Yarra will open a dialogue with clean energy producers ahead of a potential full tender process. The trio of councils have partnered with businesses including Mirvac and Federation Square for the project. Renewable providers, such as solar and wind farms, will be asked whether they can supply the group’s combined 100GWh worth of energy at similar or lower cost than fossil fuel providers. This 100GWh is the equivalent to around 250,000 solar panels or 15 wind turbines. The consortium hopes to find renewable energy projects that are ready to proceed but have been hindered by uncertainty over the renewable energy target, which has seen investment in the sector grind to a virtual halt. 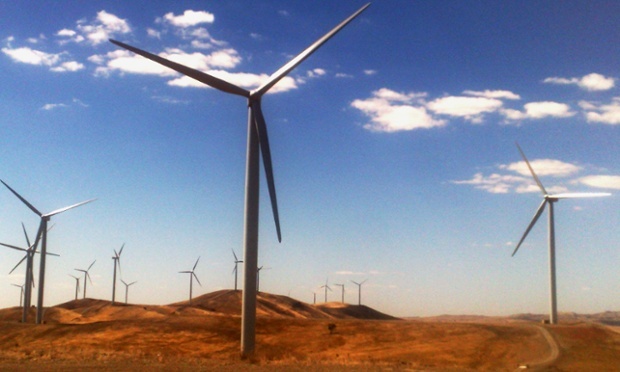 Victoria’s renewable energy industry has also been hit by severe restrictions on new wind farm developments, allowing states such as South Australia surge ahead of it in terms of clean energy. By joining together, councils and businesses can offer a reliable demand for renewable providers to allow their projects to proceed, while at the same time potentially driving down the cost for users. The City of Melbourne has a goal of zero net emissions by 2020. This target is supplemented by a goal of sourcing 25% of electricity from renewable sources by 2018. Just 5% of this target has been achieved via rooftop solar panels in Melbourne’s CBD, prompting the council to look to large-scale renewable projects in other parts of the state. City of Melbourne councillor Arron Wood said the new approach will help counteract the “worrying” renewable energy policies of both state and federal governments. “We are literally going out to test the market and find out what the price is,” he told Guardian Australia. “Our hope is that they will be on a par with fossil fuels or cheaper, because then the business case becomes a no brainer because renewables are cheaper than fossil fuels in the long-term. “There are certainly some worrying signs over the state government’s attitude to renewable energy. There are genuine business opportunities for the state and we’re saying we’re open for business for renewable energy. Wood said he expected other councils in Melbourne and across Australia to look closely at the concept in order to bolster renewable uptake. The City of Sydney, for example, has a 30% renewable energy target by 2030. WestWind, a German wind farm developer that has two approved projects in western Victoria, said it welcomed the initiative. Tobi Geiger, managing director of WestWind, said there should be plenty of interest from solar and wind providers. “I’d say there are around 10 projects in Victoria that would go for it, predominantly wind because we are blessed with wind all year round inVictoria,” he told Guardian Australia. “We’ve had to wind back activities quite dramatically because of uncertainty over the future of the RET. We’ve been Abbott-proofing our company by looking at opportunities in renewable energy that don’t require government support. 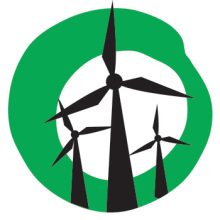 Next Next post: Election Watch: Where do Macedon candidates stand on renewable energy?